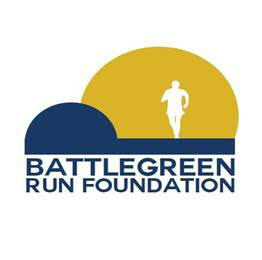 The Genesis Battlegreen Run will be celebrating 21 years on Sunday, November 6, 2016 in Lexington, MA! Since its inception in 1996, the Genesis Battlegreen Run has been established as one of the most popular road race events in New England. This race event is unlike any other racing event from start to finish. Rene Rancourt, voice of the Boston Bruins, sends the runners along their way with a stirring rendition of the Star Spangled Banner, accompanied by musket fire, courtesy of the Lexington Minutemen. Another signature component of the racing event is the post-race buffet, which includes a variety of food options generously donated by many local restaurants and food vendors. This event, which has become a Lexington tradition, offers a beautiful course that will challenge runners and walkers alike. After the race, join participants, friends and family for entertainment and a taste of our local food fair! Proceeds from the 21st Annual Genesis Battlegreen Run help fund Habitat for Humanity of Greater Boston, the Ovarian Cancer Research Fund at Mass General Hospital, the Pauline Briggs Scholarship Fund, the Genesis Community Fund, Northeast Organic Farming Association (NOFA MASS), Esperanza- Hope for the Children, the Lighthouse Animal Shelter, Special Needs Art Programs, Inc. (SNAP), the Bedford VA Research Corporation (BRCI) and the New England Innocence Project/ Running for Innocence.